A database is useless if your users can't access it, so on Tuesday, FileMaker revealed a major update to its FileMaker database platform that allows users to access FileMaker databases through a browser. 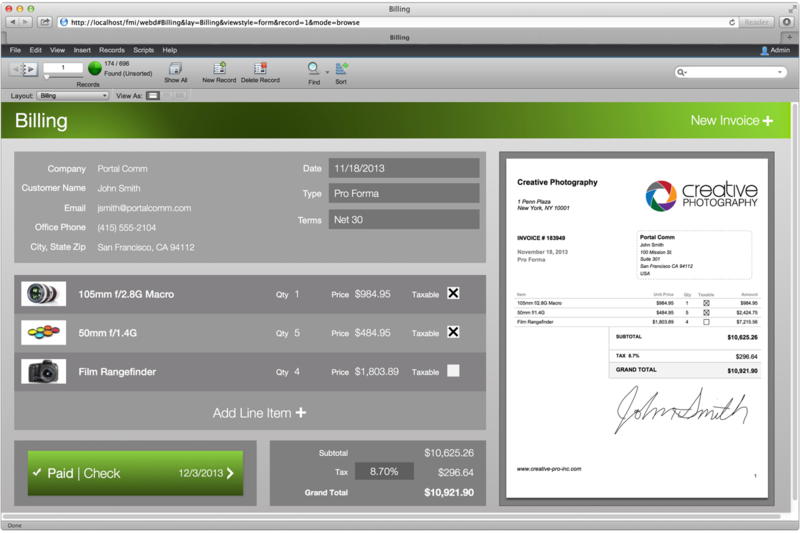 FileMaker 13 lets users access databases through an HTML5-compliant browser. The marquee feature of the new FileMaker 13 is FileMaker WebDirect, which allows FileMaker to be used through an HTML5-compliant browser. 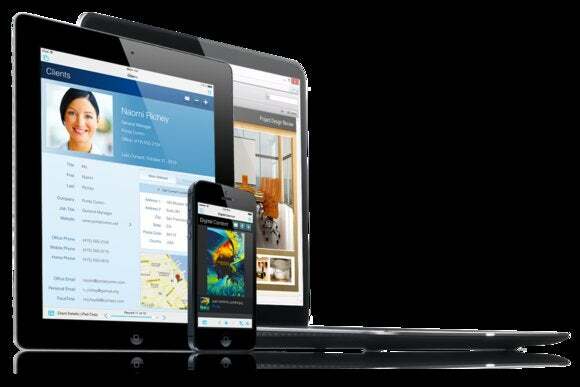 Databases accessed via the Web use an interface that mirrors that used in the desktop app. Changes made through the Web are updated to the FileMaker database in real time, so you can see up-to-date information regardless of which client was used to make the updates. At the time of the release, FileMaker 13 supports desktop browsers, with support for mobile browsers coming at a later date. In version 12, FileMaker introduced themes, a set of templates with distinct colors, buttons, fonts, and borders. FileMaker offers over 50 themes, all of them customizable. To help you give the database a uniform look, FileMaker is introducing styles, which let you change the look of objects all at once. You can create custom styles and use them later. With styles, you can give the elements of your database a consistent appearance. 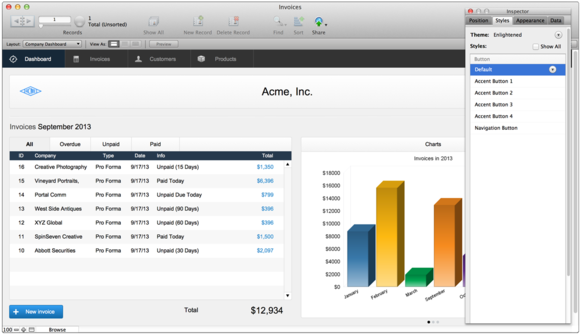 Like many other full-featured software packages, FileMaker now offers subscription-based pricing. FileMaker quotes its prices on a monthly basis, but customers are billed annually. FileMaker Pro 13 is $9 per month; FileMaker Pro Advanced 13 is $15 per month; and FileMaker Server 13 is $29 per month. If you prefer a traditional software license, that is available, too. FileMaker Pro 13 is $329 ($179 upgrade); FileMaker Pro Advanced 13 is $549 ($299 upgrade); and FileMaker Server 13 is $1044 ($528 upgrade). FileMaker Go for iOS is free. Server concurrent connections for FileMaker Go or FileMaker WebDirect are $25 per month for a five-pack, or $900 for a traditional concurrent-connections license. This is the most significant upgrade to FileMaker since version 7. It's the best version yet of the database program.